It was Sunday School time. 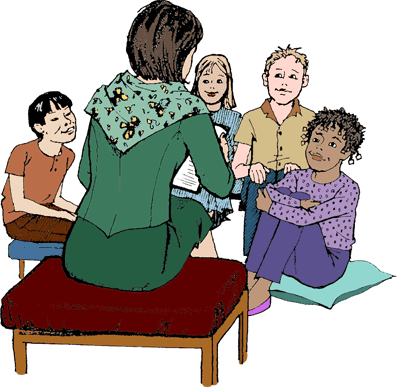 The children listened as their teacher, Miss Mason, told them a Bible story. The story was about a sick man who wanted to see Jesus. 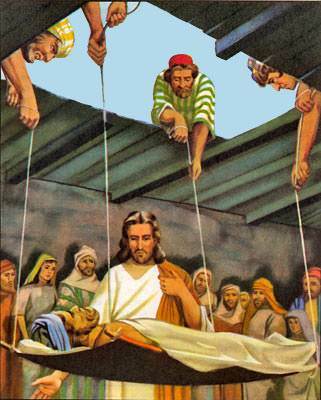 The man could not walk so his friends took him on his bed and carried him to Jesus. "When Jesus saw their faith," Miss Mason continued, "he said to the sick man, 'Son, be of good cheer. Your sins are forgiven you.'" "Did Jesus make the man better again?" Debbie asked. "Yes," Miss Mason answered. "Jesus told the man to get up and take his bed and go home. And the man did it. Jesus had healed him. But Jesus had done something else for the man. It was even more important than making his body well. Can you tell me what it was?" "I think I know," Randy said, putting up his hand. "Jesus forgave the man's sins." "Even when we get sick?" asked Peter. Miss Mason smiled. "Yes. We may be too sick to feel like playing or laughing. But we can still have joy deep in our heart because Jesus is our Savior. "And when things go wrong or when trouble comes, we do not need to be cross and unhappy. Jesus has promised to be with us in trouble. He will help us and watch over us. That is why God tells us in the Bible that He wants His children to trust Him and be happy." 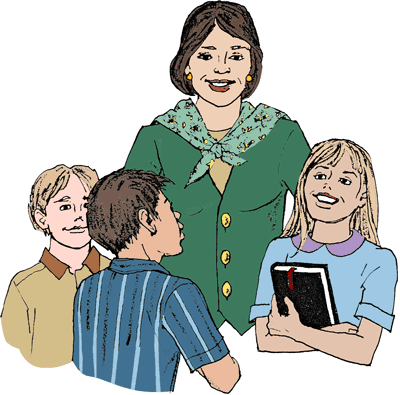 "I sing when I'm happy," Debbie told the teacher. "Good," Miss Mason said. "Our memory verse today tells us to be glad and sing before the Lord. "It says, 'Serve the Lord with gladness; Come before His presence with singing.'" The children learned the verse. Then it was time to go home. "Don't forget our class picnic on Saturday," the teacher reminded them. "We won't forget," the children promised. Randy and Debbie were excited about the picnic. They could hardly wait for the week to pass. But on Saturday morning when Debbie got up and looked out of the window, she began to cry. "Randy," she sobbed, running into his room. 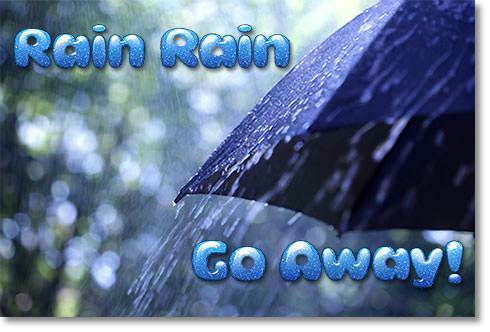 "It's raining! Now we can't go on our picnic." Randy ran to the window. He looked at the dark gray sky. He looked at the rain streaming down. "Go away, rain," he said. "Please go away." Randy began to feel cross. Then he remembered something. "Debbie, remember our lesson on Sunday? Jesus wants us to trust Him and be glad no matter what happens." "How can we be glad when our picnic is spoiled?" Debbie asked. "I don't know," Randy said doubtfully. "Let's ask Mother." 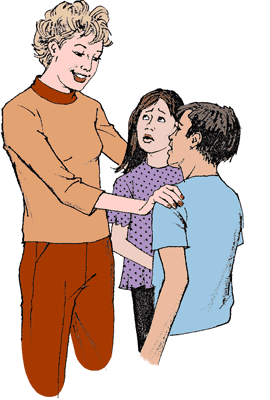 When Mother heard their question she said, "You can still be glad because Jesus is your Savior and He loves you very much. That is something that will never change. "The Bible says, 'Happy is he whose God is the Lord.' You can be glad for the rain on the gardens and the fields where it is needed. 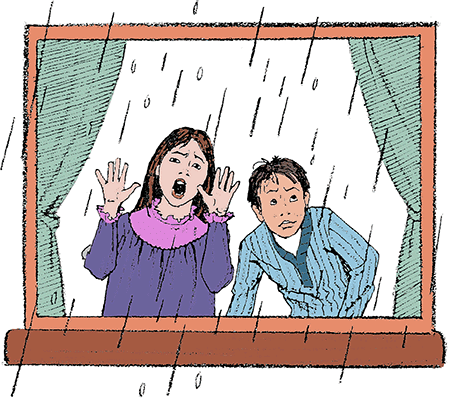 And you can be glad for a nice warm house to play in until the rain stops." "Maybe Jesus will stop the rain if we ask Him to," Randy said. "Maybe," Mother answered. "But if He doesn't, just remember that He knows what is best for us." But the rain did not stop. All morning the children played in the house. After lunch the phone rang. Soon Mother called the children. "Your Uncle John just phoned," she said. "Because of the rain he cannot work in the fields today. "He wants to know if you and your class would like to have your picnic in his hay barn. He will be there to see that no one gets hurt." "Oh, goody," Debbie cried, dancing up and down. "Phone the teacher, quick!" Randy said, his eyes shining with excitement. 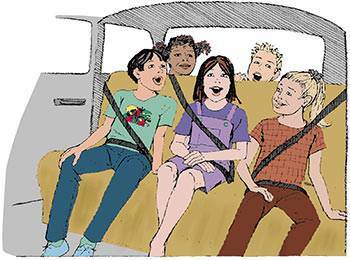 In a short time two cars loaded with children were on their way to the farm. 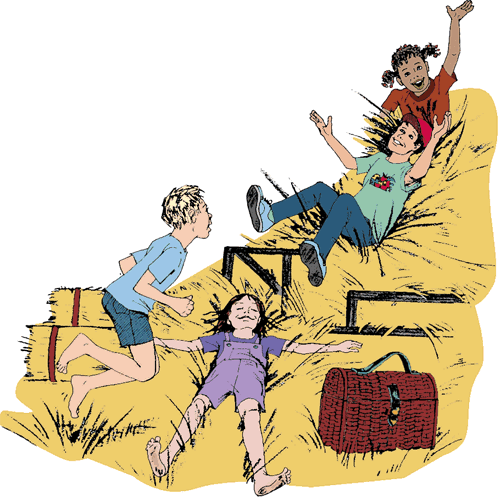 Soon they were all jumping and tumbling about in the sweet-smelling hay. They played for a long time. When at last they began to get tired, the teacher opened the picnic basket. "This is the best picnic we ever had," Debbie told the teacher. "I'm sorry I cried this morning when I saw the rain." "It was because of the rain that Uncle John was at home and he let us play in his barn," Randy said. "I guess God knew that would happen when He sent the rain, didn't He?" 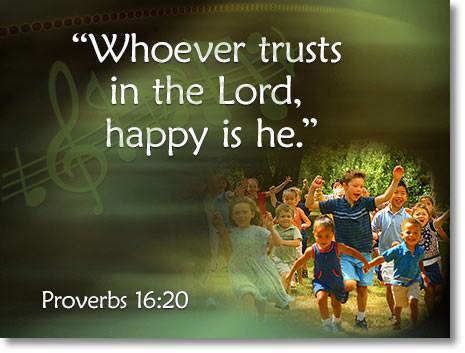 "Whoever trusts in the Lord, happy is he," the children repeated the words together. They sang them over and over on the way home. They wanted to remember them always. In our last lesson, we learned that one of the thieves who was crucified with Jesus asked the Lord Jesus to be his Savior. He was saved. When you take Jesus as your Savior, you are saved too. If you have taken the Lord Jesus as your Savior, point to your little finger and say, "I have everlasting life." If Jesus is in your heart, then you have everlasting life. God says so in His Word. The Bible says, "He who has the Son has life"—EVERLASTING LIFE! 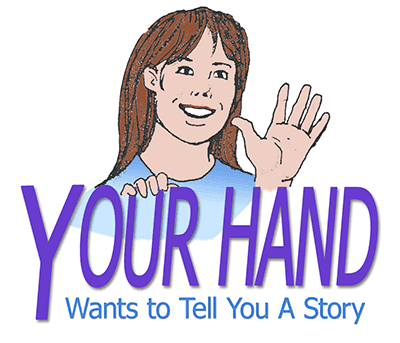 Look at your hand again and let it tell you the story of God's great salvation. Point to each finger and repeat the story, being sure to say the Bible verses too. 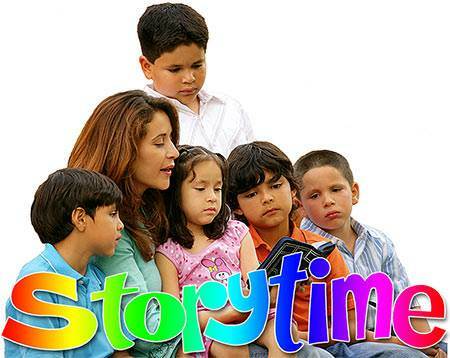 The next lesson is the last in this Storytime series. 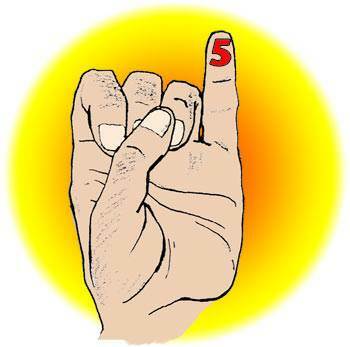 You have used all five fingers but the next lesson still has one more message from your hand to you.